First up...the Boston Marathon! Participating in it this April will be a once in a lifetime experience. They have been holding this marathon for 114 consecutive years! The more I read about the history (thanks again for the book Brian! ), the more excited I get to run in the footsteps of all the amazing runners who have made their way from Hopkinton to Boston. Flights and hotel are booked. I'm registered and official training began on 12/14. After Boston, I'm going to fulfill my promise to James to compete with him in a sprint triathlon. We've decided on the "Tri the Creek" which is in June and at the same spot as Tanya's "Tri the Cure" race has been. I'm currently cross-training for Boston by getting in the pool once a week. I always thought swimming laps would be a nightmare for me. But like little Mikey in the old Life cereal commercials, you could say of my swimming, "he likes it!" After this, it's all trails going forward. I find that trail running awakens my senses. Sights, smells, and sounds are all enhanced and it opens the door to taking in God's creation in its full glory. It taps into some innate longing in me to be free of all the modern trappings I'm surrounded by daily. I promise I'm not planning to become a hermit in the woods. No, I appreciate the wilderness because I find it helps me keep a healthy perspective on the fast paced world in which we live. I've never been one to experience deep thoughts while I run. To the contrary, my mind shuts down and I live in the moment. At first, my multi-tasking nature thought this was wasting precious time I could be using to think about things going on in my life. Now I realize just how much of a gift the opportunity to live in the moment really is. I'm sure the same could be said for any activity out in nature away from the hustle and bustle of life. I've got some lofty goals for July-September. I feel I'm ready to tackle a 50 mile trail race. Running the PPM last year opened my eyes to just how much I enjoy running in the mountains and gave me a strong taste for the ultramarathon scene. The longer distances use to freak me out. Now they're just a number that presents a new challenge to be enjoyed. To that end, this July we'll be heading up to the Silver Rush 50 in Leadville. This is where I ran the heavy half marathon last summer. Not only will it be 50 miles, but all of it will be between 10-12K feet with just under 8K feet of elevation gain/loss. 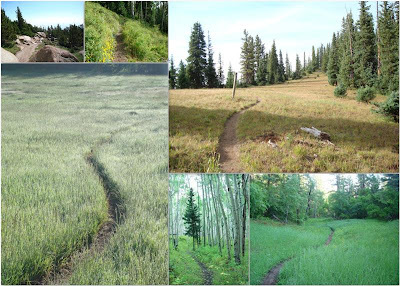 I'm planning on another one in September up in Steamboat called the Run Rabbit Run. The thought of a trail race during the peak season of aspen gold sounds awesome! So the alarm clock will be set for 4:30 a.m. most days in 2010. I love the early mornings and don't mind giving up sleep to run...as long as I get a cup of coffee first! 2009 was an extraordinary year of running for me. East Coast to West Coast, sea-level to 14,000', nation's capitol to small historic mining town...what an adventure it has been! When the Marine Corp Marathon was over in October, I was sad to see the final race for the year come and go. What made it so memorable? 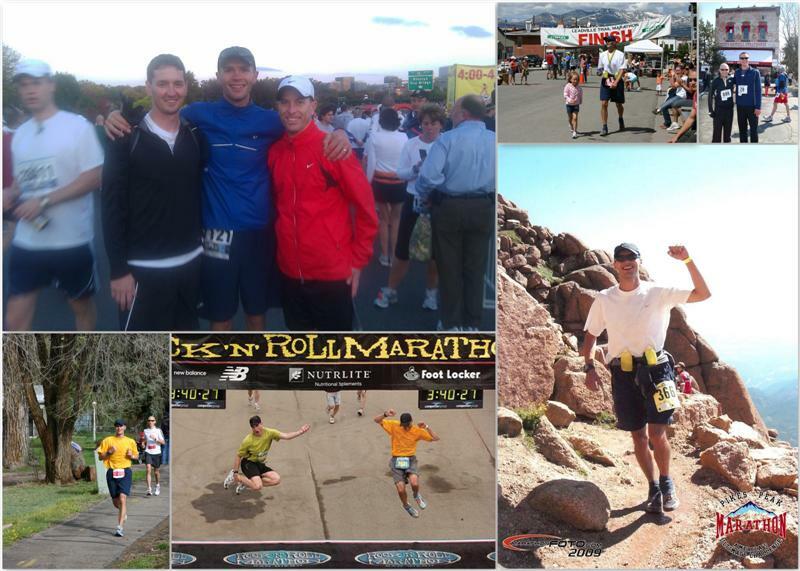 To start, I was fortunate enough to run two marathons and one half marathon with friends. There's something special about sharing the running experience with someone else (RnR San Diego Marathon w/ James, the MCM w/ Brian, and the Platte River Half w/ Scott). Prior to this year, I had never run a race with someone. The camaraderie throughout our training was a bonus as the constant emails and talk in the months and weeks leading up to the races just made the experience that much sweeter. 2009 was also the year of my introduction to trail running. It didn't take long for me to get hooked. 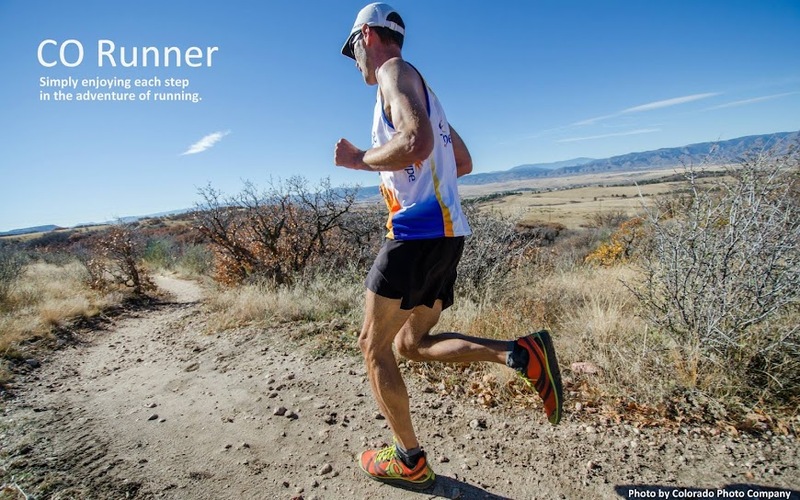 Maybe it's because Colorado is a trail runner's paradise, but I think I found where the future of my running endeavors is heading. The Leadville Heavy Half and the Pikes Peak Marathon were amazing experiences, but the training runs throughout the summer were just as, if not more memorable. That is something I surely can't say about training runs on the roads. Back on the road running front, in early in '09, I finally got a Boston qualifying (BQ) time at the CO Marathon in Ft. Collins. This was a big milestone as many a runner dreams of running in Boston. After my 11 second BQ miss at the NH Marathon in 2008, I was happy to get it with more than five minutes to spare in Ft. Collins. Lastly, here are a few fun stats from 2009. I just figured out I ran for 10 days (238 hours)...not all at once of course! For the first time, I eclipsed 1700 miles. That would put my total mileage since 1/1/06 at 4983 miles. My planned run this Saturday morning should put me over the 5000 mile mark! In 2010, I'm shooting for a fun goal of 2010 miles for the year. New Year's Eve is typically an uneventful night for us. Not so for me in 2009 when a "Blue Moon" rose into the cloudless sky. James & I have completed several "full moon" runs in 2009...usually starting around 9pm, but never a "blue moon" run...and never one ushering in a new year at midnight. Our plan was to meet at 11pm, run 4 miles to the top of Wildcat Mountain, crack open two bottles of "Blue Moon" while enjoying the Denver fireworks off in the distance as the clock struck twelve. With a blanket of snow cover all around, we couldn't believe how bright it was running up the trail. Everything went great until we got to the lookout...about 13 minutes early. You see it was 18 degrees out and there was a stiff breeze blowing on the glaze of sweat produced from the run up. It was a long wait for 2010 to become official. The beer was delicious, but I could only drink half of it before I started to feel my lips freeze to the bottle! The last mile of our run back was on the road leading to our house. I wish I could have seen the looks on the faces of people driving home from their parties when they passed two guys out for a midnight jog! Definitely a memorable night! Thanks James!